Durban – Three KwaZulu-Natal men were viciously attacked by assailants with dogs while visiting the Drakensberg. One of the men was seriously injured. 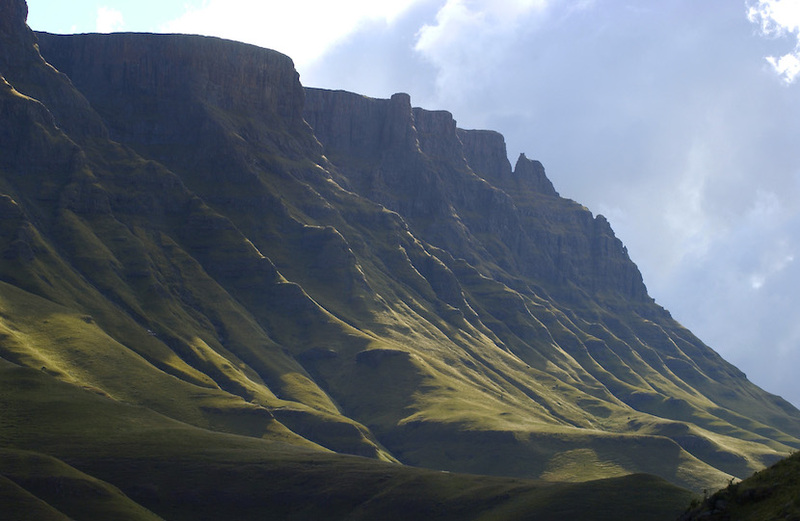 Scottburgh resident, Jody Main-Baillie, along with his long time hiking partners, Cameron McLean and David Moldenhauer, had planned an extensive hike through the Grand Traverse – a journey that was meant to take them from the Southern to Northern Drakensberg. Instead, one day into the journey, the trio were attacked with stones, beaten and also mauled by dogs during their first night camping last week. Speaking to News24 on Thursday, Main-Baillie said the trio had hiked from 06:00 and began setting up camp at 16:00, before sunset. “We had all gone into our tents at 23:00. Myself and Cameron were in one tent and David was in the other with our gear. Around 01:00 rocks were being thrown at our tent. David began screaming that we were being shot at. That is how hard they were throwing the rocks. Main-Baillie said while running, they could still hear the dogs barking. Main-Baillie said it was the first time in his many years of visiting the area that they were attacked. “Nothing like this ever happened to us before. The manager for the National Park said they closed that section down and are having meetings to sort it out. It is just really sad that something like this happened in such a remote place.